After denying that their voting systems came with remote-access software, the country's largest voting machine vendor had just come clean. 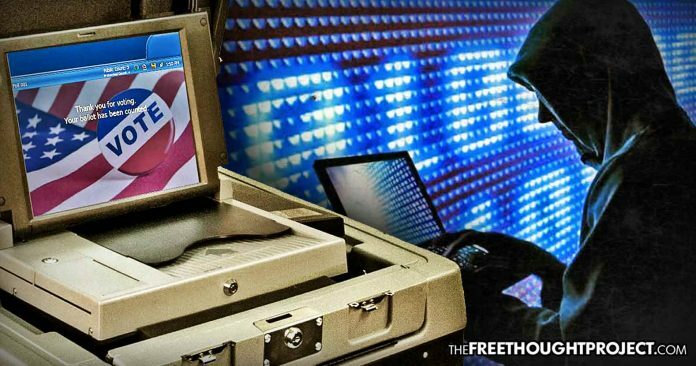 A bombshell revelation on the security of voting in the United States has just surfaced in the form of a letter from the country’s largest voting machine manufacturer. The company, Election Systems and Software (ES&S) admitted that despite denying previous allegations of its voting systems coming installed with remote-access software, their systems did, indeed, allow for remote connections. In a letter to Sen. Ron Wyden (D-OR), written in April, but only released this week, the company acknowledged that it had installed software that made the systems remotely accessible from anywhere. “Prior to the inception of the [Election Assistance Commission] testing and certification program and the subsequent requirement for hardening and at customer’s request, ES&S provided pcAnywhere remote connection software on the [Election-Management System] workstation to a small number of customers between 2000 and 2006,” wrote Tom Burt, ES&S president. “None of the employees, … including long-tenured employees, has any knowledge that our voting systems have ever been sold with remote-access software,” the spokesperson said in February. However, this proved to be untrue. For those who may be unfamiliar, PCAnywhere was a remote-access software by Symantec which allowed people to remotely access other computers from anywhere in the world. In 2012, Symantec issued a press release telling all users to disable and uninstall the software after admitting that it had been hacked years prior in 2006 — at the same time ES&S was selling voting systems with PcAnywhere pre-installed on them. ES&S refused to elaborate on how many of the systems had the software. However, they claimed that they stopped using it after it was explicitly prohibited in 2007 by the Election Assistance Commission. Whether or not this is true remains a mystery as the company has already proven that it will lie. Voting in the US, as TFTP has consistently reported, is rife with corruption and fraud. As the 2016 election illustrated, democracy is a sham and those who count the votes, or at least claim to count the votes, decide the outcome. ES&S is not alone in their controversy either. In 2006, the documentary Hacking Democracy exposed Diebold and their role in rigging elections with their electronic voting machines. Curtis is notable chiefly for making a series of whistleblower allegations about his former employer and about Republican Congressman Tom Feeney, including an allegation that in 2000, Feeney and Yang Enterprises requested Curtis’s assistance in a scheme to steal votes by inserting fraudulent code into touch screen voting systems.